This is part of java binary tree tutorial. 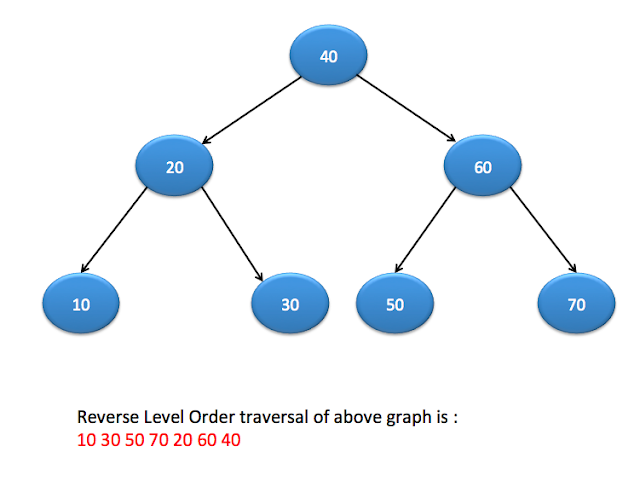 In this post, we will see about Reverse Level Order binary tree traversal in java. In previous post, we have already seen Level order traversal. In reverse level order traversal, we will visit last level first, then second last and eventually first level. We will use stack for Reverse Level Order traversal. Create empty queue and push root node to it.